The Drive to Protect the Ladies’ Mile District was created to preserve and protect what became the Ladies’ Mile Historic District. The Drive to Protect the Ladies' Mile District was organized by copy-editor Jack Taylor with photographer Truman Moore and his wife, preservationist Margaret Moore. This group served as an umbrella group for various organizations, and was primarily concerned with the growing dereliction of the Midtown Manhattan area. It had once served as a thriving center for retail commerce and publishing with monumental Beaux-Arts buildings and early forms of skyscrapers. When stores and offices began to move uptown after World War I, the area suffered from the impinging vacancy. In the mid-1970s and early 1980s, photographer Truman Moore set up a studio in the area because of its lower rents. He and his wife took notice of the dilapidation of the once magnificent buildings that adorned Sixth Avenue, Fifth Avenue, and Broadway. They began to write a book entitled End of the Road for Ladies' Mile? that contained photographs of the buildings.1 Due to the building boom and revitalization taking place in Union Square in the early 1980s, preservationists launched campaigns to designate buildings as New York City Landmarks in order to protect them from future development.2 Margaret and Truman Moore, along with Anthony C. Wood and Christabel Gough, formed The Drive to Protect the Ladies' Mile District to help garner support from the public for its designation. Jack Taylor soon joined the group and continues to serve as its president. They distributed End of the Road for Ladies' Mile?, engaged local celebrities, and instituted walking tours.3 Their efforts paid off when the district was officially designated in 1989. 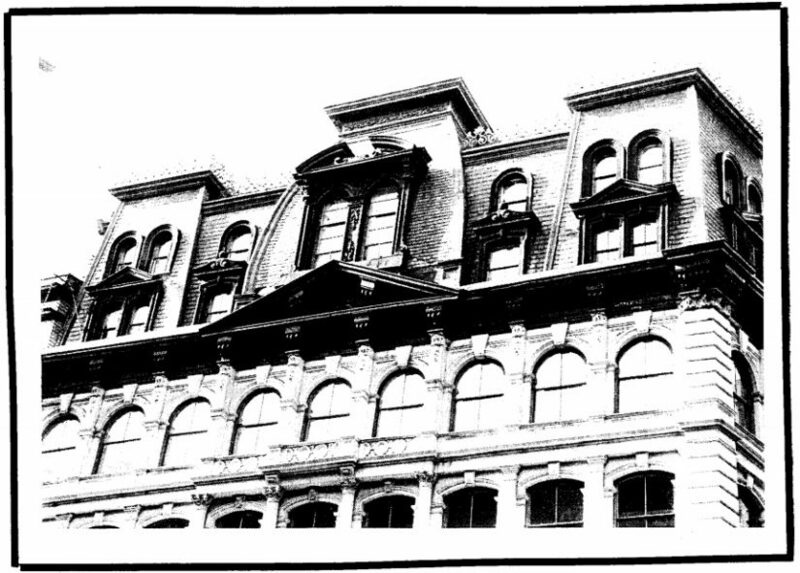 Nadine Brozan, “Panel Gives Ladies’ Mile Historic District Status,” The New York Times, 3 May 1999. “Ladies Mile District Wins Landmark Status,” The New York Times, 7 May 1989.